We’re announcing our Hidden Number record release party! @ The Comet – 922 E Pike St.
*Update* Smooth Sailing is celebrating their homecoming! *Update* Hidden Number will hold a drawing from mailing list subscribers to win a free record. *Update* Ocelot Omelet will hold a drawing from mailing list subscribers to win a free record–and bash a pinata! If you’re into facebook, you can get it onto your calendar now. *UPDATE* You can get all the info on your phone, including driving directions, on our mobile site. You can help us pay our up-front bills if you pre-order a record now from our website. We have a few deals for those into collectibles, consumables, and containers. Then you can just pick up the record at the show. It’s going to be a special night, and we would love to be with you. The sun should be shining, and we will be playing the entire album live to an amazing set of visuals created by Josh. Shawn Diaz, a one-time guitarist and singer in the band, is back again as the designer. Chris Unruh‘s magnificant artwork graces the cover. You might recognize him from some of our previous show flyers. Calla Donofrio‘s stunning art is nestled within. Some albums come with some rules and a playing die for the game. Unfortunately, due to some manufacturing limitations, fudge is not included. You can hear the super top hit single inside our minds in advance right now. It’s a little known fact that just prior to deciding upon our band name, we almost went with “Abstruse Art”. Lucky for you, we came to our senses. But I digress. It is time for us once again to have a little fun with another installment of Super Hidden Number Puzzle Quiz Question, Number Three! And why is this one super? It is because you, our fans, are super. And we want to reward you with an actual physical reward from the vaults of Dean’s basement dwelling. That’s right, the first person to get the question right, gets a free t-shirt! You will get to choose from whatever stock we happen to have on hand, so that means that you’re not stuck with two of the same shirts if you have already pre-ordered our upcoming brand new record, Human_Error. Question: What location does this symbol represent? First person to guess correctly will get that t-shirt, as well as a solid hand shake (in private). Try crossing your eyes and/or tilting your head. You may not participate if you’re in the band, Joe. We’re having a lot of fun with this! We hope you are, too! UPDATE: Tim figured it out on our fb page. 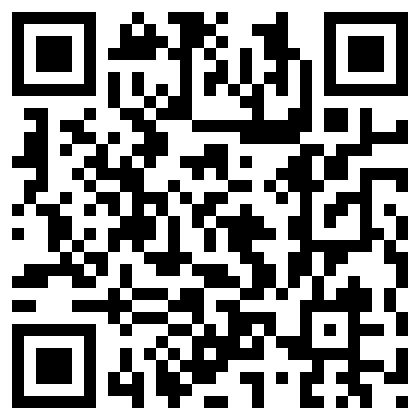 It’s called a QR code, and it points to our website http://hiddennumberportal.com. Tim gets a t-shirt, with our esteemed compliments and back rubs.